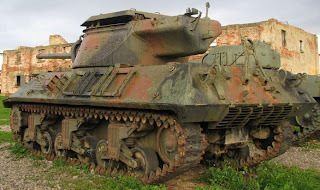 Not surprisingly war war II led to an arms race between allied and axis forces. 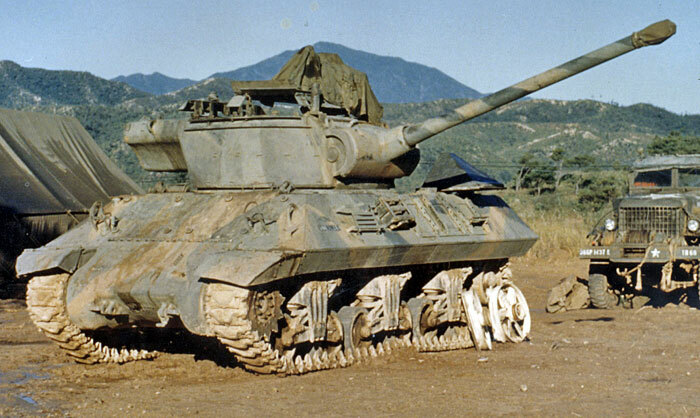 For armoured vehicles such as tanks this meant thicker armor and heavier guns. One of the products of this arms race was the 'M36 90 mm Gun Motor Carriage'. This was essentially the same vehicle as the M10 tank destroyer but mounted with a 90mm gun able to engage german heavy tanks from distances larger then 500m. 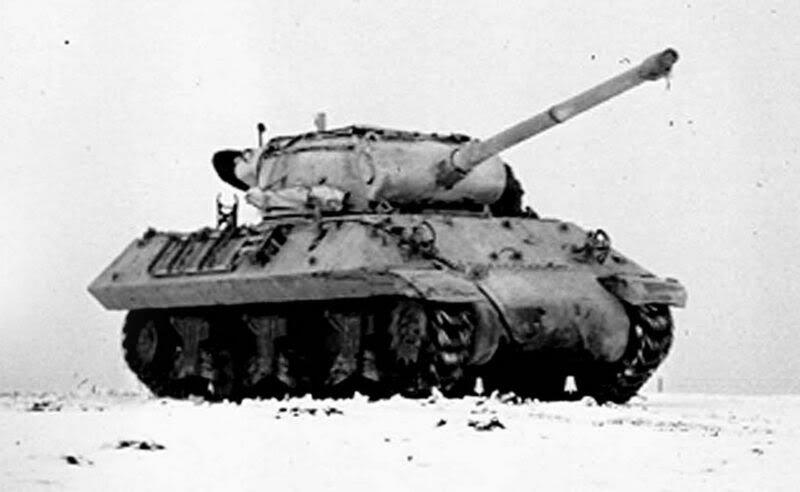 The gun was not as good as the British 17-pdr mounted in the Achilles and Sherman Firefly but it was in high demand by the allied troops. 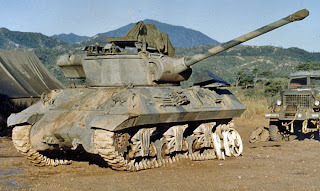 The M36 has quite an interesting and long operational history (more can be read at the Wikipedia page). 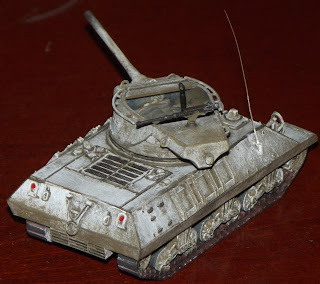 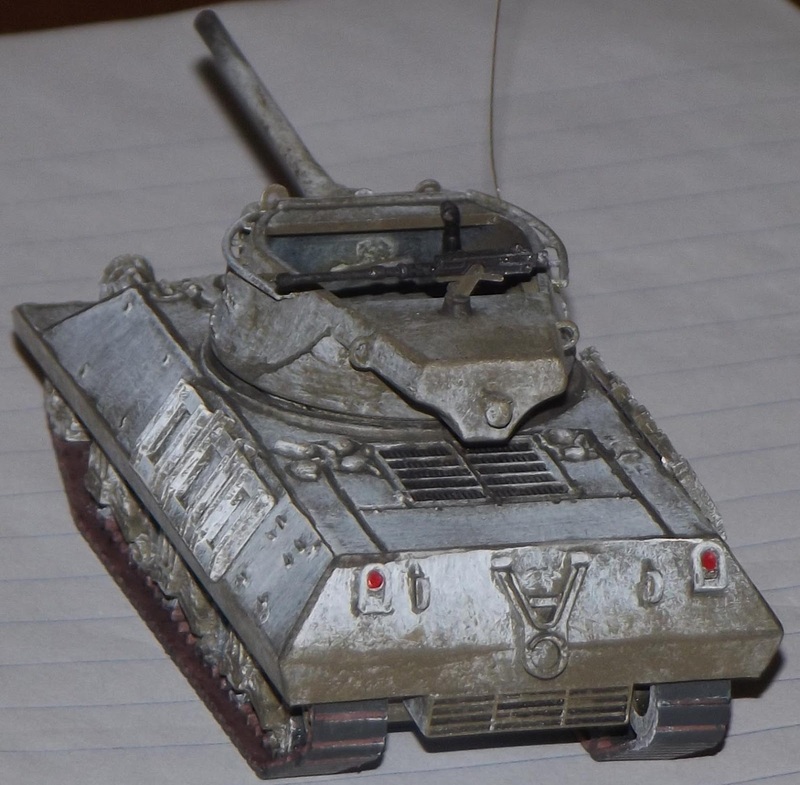 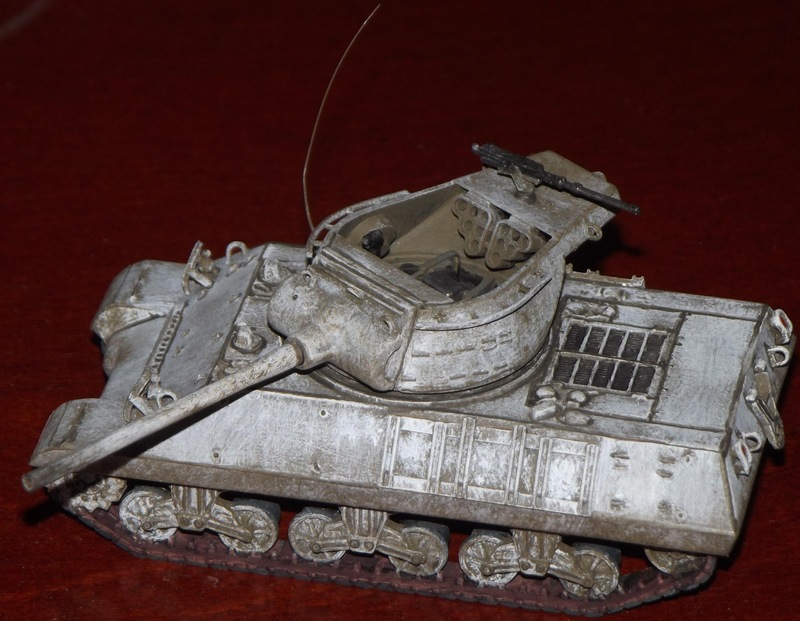 The M36 has not received a lot of attention from manufactures in both 1/35 as 1/72 scale which I find strange. 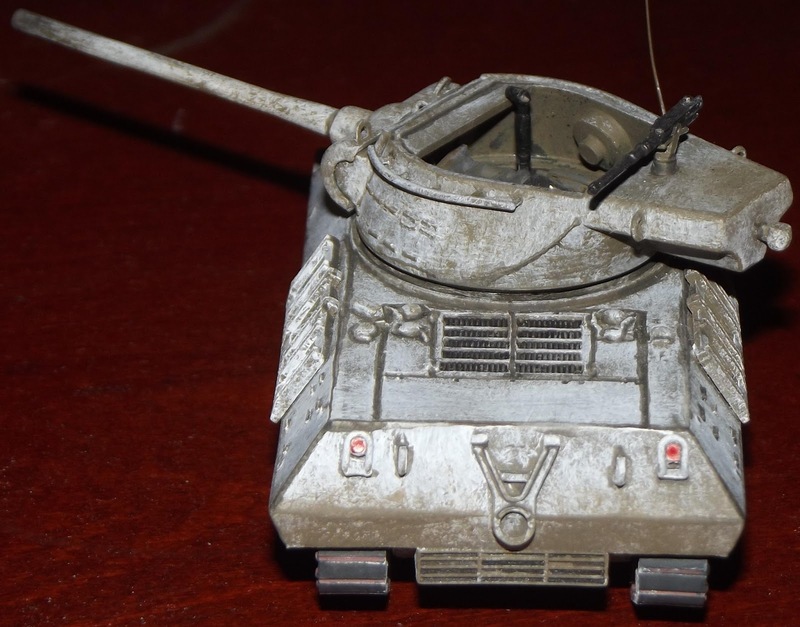 With it's interesting history, cool looking angular armor, big gun and diverse camouflage options it is as interesting as any german subject from a modellers perspective. 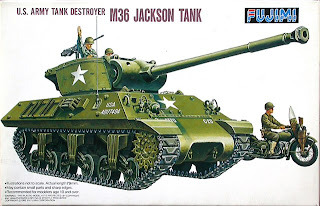 3 models are available however, from Extra Tech (with an interior), Fujimi (1/76 with an interior) and Armourfast (fastbuild kit). I made the Armourfast model and used parts from Fujimi's kit to add missing details such as headlights, lifting hooks and the turrets interior. 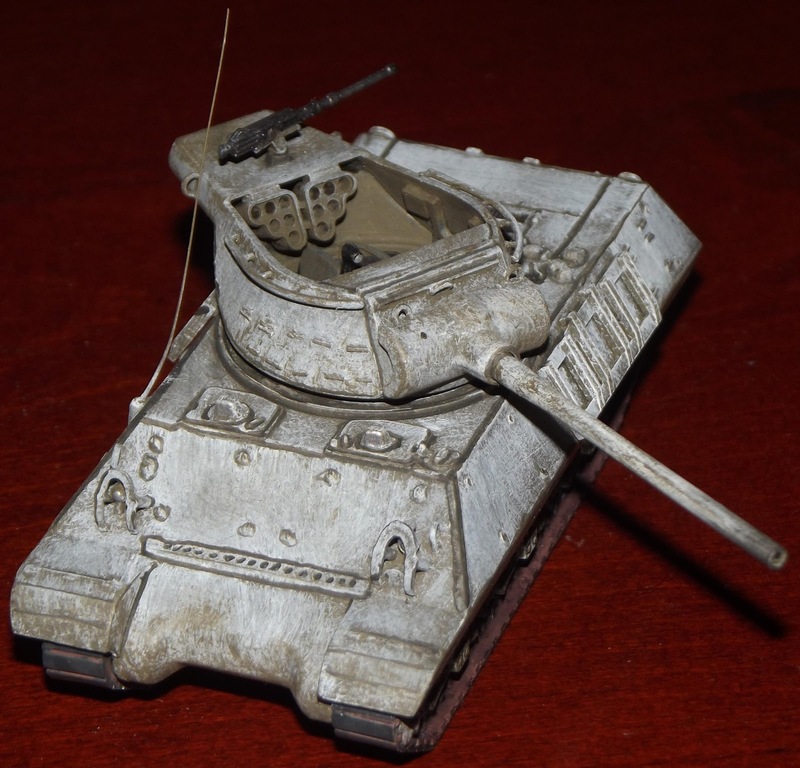 The armorfast M36 is recommend for wargamers or modellers who want to make a M36 and have some suitable spare parts laying around. 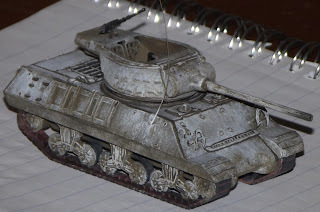 If you really want to make a high quality model with very sharp details the ExtraTech model might be more suitable although I haven't seen that model myself.